See it over and over like we do everyday and you understand that everyone has a right to recovery. If you are looking for treatment for yourself, your family or both, the Sacramento area is rich with options and opportunities. The best defense is a good offense. 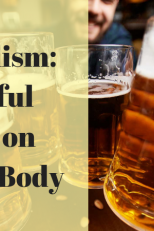 Honest discussion and accurate information about alcohol and other drugs are powerful antidotes to the toxic effects of addiction. As part of our commitment to providing the best services to our consumers, NCADD Treatment Services are gender specific. All of NCADD programs utilize evidence-based/best practice treatment models that are specific to the needs of our consumers. 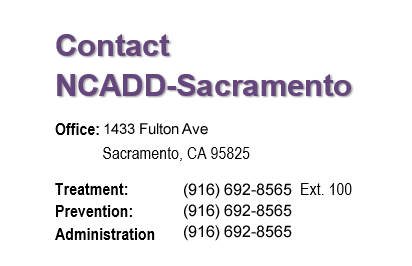 Welcome to NCADD-Sacramento online. 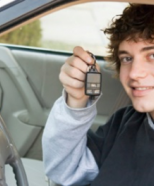 Here, you can learn more about the true nature of addiction. Whether you are struggling with this problem yourself, want guidance on how to handle this problem with someone you care about, or need to keep informed of the newest scientific developments, local resources or best practices, we are glad you found us. We understand the destructive power of untreated addiction to our community. And we understand the transformative power of treating addiction and the positive influence those individuals and groups can contribute to their communities. 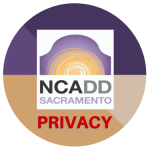 NCADD is a Certified Partner Agency with United Way California Capitol Region.